Driving Under the Influence or D.U.I. as it is often referred to is a very serious crime that occurs each and every day across Florida and many other states. D.U.I. as defined in Florida Statute 316.193 is the impairment of one’s normal faculties by an unlawful blood alcohol or breath alcohol level. The unlawful level in Florida is .08 or above. Most D.U.I. cases are charged as first degree misdemeanors. However, if there is a car accident and injuries or death occurs then more serious felony charges will be filed. These charges are often referred to as D.U.I. Manslaughter or in some cases, Vehicular Homicides cases. D.U.I cases are often featured on television and many times involve celebrities. In reality, most of them happen to every day citizens, professional people, college students, and in many cases, people whom like the saying goes “went out to have a good time and had one to many.” These cases can have very negative consequences on both your criminal record and traffic record. The Criminal Defense Attorneys at the South Florida Law Firm ofBerman & Tsombanakis, L.L.C., have extensive experience in handing D.U.I. cases at both the felony and misdemeanor level. We also have experience in preliminary motion hearings and DMV Review Hearings as they relate to D.U.I. cases and the reinstatement of one’s license. Most first time offenders of misdemeanor D.U.I.’s are sentenced to a combination of probation, community service, alcohol counseling, fines and court cost. In some cases, first time offenders may also serve some time in jail. Most first time offenders will also have their vehicles impounded and their licensed revoked for a specified period of time, unless said requirements are reduced and or waived. The amount of time is. 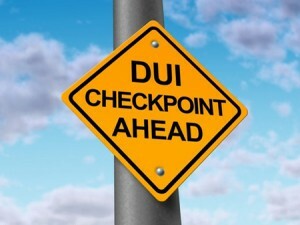 Penalties for DUI cases are defined in Florida Statute 316.193 If arrested for D.U.I. the charge often results in a sentence involving probation, sometimes imprisonment, driver’s license revocation, fines, drug and alcohol counseling and screening. There are also many other cost and requirements if placed on probation. The State Attorney’s office will often recommend a standard sentence or plea for first time offenders. This is often used when individuals are not fighting the charges. Even when this is the case, it is very important to have counsel and to understand your rights. A plea to a misdemeanor DUI may appear to be simple on the surface, but there are a lot of conditions and stringent requirements, that are set forth in the website above and in Florida Statute 316.193 that defines in detail the offense of Driving Under the Influence. In many cases in lieu of jail time, the Court will exercise its discretion and allow an individual to complete there sentence in a residential alcoholism or drug abuse treatment program, credited toward term of imprisonment. Imprisonment is given in cases where either the blood alcohol or breath test is very high or other circumstances as provided by statute. One of the first hearings that an arrestee may attend is DMV Hearing concerning their driver’s license. These administrative hearings can be upsetting and challenging to many individuals that are arrested for D.U.I. Immediately one maybe without a car and a means to get to work, school or to provide their family with transportation to and from said places. At the administrative hearing, a decision will made as to whether the person may be granted a hardship license for business purposes only or if they will have no license at all. The maximum amount of time that a person can lose their driver’s license for depends upon whether this is a first or subsequent charge of D.U.I. In most first time cases the license may be suspended for up to 6 months if no hardship license is granted. When you are arrested your car may be impounded, unless someone is available at the scene to drive it home and the officer determines that they are not intoxicated. However, the more serious impoundment is the one the court orders at the time of sentencing. The court may require the statutory mandate that the car be impounded for 10 days if it is a first time conviction. If it is a 2nd, 3rd, 4th or subsequent conviction then said vehicle may be impounded for an even longer period of time. Impoundment may be waived if the car is the sole car of the defendant’s family members or if it is the car that is used by the defendant’s employees or any business the defendant may own. The cost of said impoundment will be paid by the defendant as well. Cost for impoundment and other expenses related to a DUI arrest and conviction can be massive, especially if someone lacks the financial capacity to pay them. Failure to pay said cost during probation could also result in a violation of your probation. Fine Schedules are defined in Florida Statute s. 316.193(2)(a)-(b). Most first time convictions will be given fines ranging from $500.00-$1000.00. Any second, third, fourth or subsequent convictions by a DUI defendant may receive fines up to but not exceeding $2000.00. Also if the Blood/Breath Alcohol Level (BAL) is .15 or higher or if a minor is in the vehicle, the defendant may face a higher fine and more serious penalties for such an egregious act. Community Service – s. 316.193 (6)(a), F.S. Community Service hours are mandatory in DUI cases. First time convictions are given 50 hours of community service or the judge may allow the person to pay an additional fine of $10 for each hour of community service required, in lieu of the 50 hours. Any second, third, fourth or subsequent convictions of DUI will call for more community service and the court will in most cases require that it be completed instead of the buyout option that is given in first time cases. The DUI laws are very complex, especially if one is not trained in the field of criminal and traffic law. It is important to understand your rights and know exactly what you face if you are charged with a DUI. If you or a family member have been arrested for DUI, DUI Manslaugter, Vehicular Homicide or any other crime anywhere in Broward County, Miami-Dade County, or Palm Beach County, please email or call one of the lawyers at the Criminal Defense Law Firm of Berman & Tsombanakis LLC. at (954) 764-6099 or (954) 524-6911. We will be happy to discuss your case with you at length and chart the best course of action and put forth the best and most aggressive legal defense.